The civil rights lawyer and activist dedicated his life to fighting state oppression. Preventive arrests, allegations of links with Naxals, trumped-up charges: the script that was used to arrest human rights activists in connection with the Bhima Koregaon violence has played out innumerable times in India to crush dissent. On Tuesday, the Pune police conducted coordinated raids at the homes of 10 human rights activists in six cities, arresting five of them: Vernon Gonsalves, Arun Ferreira, Gautam Navlakha, Sudha Bharadwaj and Varavara Rao. In June, five activists were held under similar circumstances. In both cases, the police have alleged that the speeches given by activists at public meeting in December spurred caste-related violence during a Dalit rally at Bhima Koregaon near Pune on January 1, in which one person died. This marked a sudden shift in an investigation that had earlier focused on the role of widely reported inflammatory speeches made by Hindutva leaders days before the event in sparking the violence. The arrests and raids have been met with all-round condemnation by human rights activists and organisations. The police action underscores the challenges faced by civil rights movements in a country that many believe is moving towards authoritarianism. It was precisely such forces that KG Kannabiran (1929-2010) frequently and fearlessly went up against in his decades-long career as a lawyer and a human rights activist. The work done by him and his associates in Andhra Pradesh between the 1960s and the ’1990s has, in many ways, shaped the modern civil rights movement across the country today. For a man with such a tall commitment to justice, relatively little is known about Kannabiran. His Wikipedia page, for instance, is just a “stub”, as the open-source encyclopedia describes fledgling articles on its website. But a rare deep dive into his life and work is offered in The Advocate (2007). Deepa Dhanraj’s documentary traces Kannabiran’s contribution to the civil rights movement in his home state, Andhra Pradesh, and the country. Frequently, as was the case with Tuesday’s arrests, activists are detained, arrested or otherwise curtailed in their efforts by branding them as Naxal sympathisers. Kannabiran devoted his life to defending Maoists against police atrocities, something that would have undoubtedly have him labelled in as a Naxal sympathiser today. Though he did not support their use of violence, his driving force was the desire to ensure justice and constitutional rights for all, even those who subvert the law. The documentary opens in October 2004 in Guttikonda Bilam in Andhra Pradesh’s Guntur district, where peace talks are about to be held between Naxal groups and the state government. This setting is significant, as it solidifies Kannabiran’s position as a broker of peace between the state and militants. Though he gave the Maoists legal representation, Kannabiran’s ultimate aim was to end the cycle of violence that has haunted in the state since the late ’60s. From 1967-1970, communist revolutionaries in Andhra Pradesh, inspired by the Naxalbari movement in West Bengal, organised peasants to fight to reclaim tribal lands in what was termed the Srikakulam uprising. In the armed struggle that followed, about 5,000 people, many of them Adivasis, were arrested, Kannabiran explained in the documentary. Many of these people were killed in so-called encounters, which were actually extra-judicial killings, he said. This is where Kannabiran’s journey as a champion of civil rights began. For years, he worked tirelessly to bring encounter killings to the attention of the state government and the judicial system. The documentary, through Kannabiran’s voice and those of his peers, stresses on the roots of the Naxal movement – the quest for equality, liberation and emancipation – its violent means notwithstanding. It also features extensive interviews with his wife, Vasantha Kannabiran, highlighting her role in bringing a feminist perspective to the human rights movement. Among those interviewed is Varavara Rao, a poet and activist who was among the five arrested on Tuesday. He recalls how he first crossed paths with Kannabiran. A writer’s congregation was being held in Vishakhapatnam in 1970, and a student’s group asked the intellectuals gathered what they feel about the uprising happening a short distance away. Then and there, they decided that they support the Srikakulam struggle, Rao said. The Revolutionary Writers’ Association was formed shortly thereafter, with Telugu poet Sri Sri as president. Rao, a member of that organisation, recalls how the revolutionary poems they wrote at the time openly urged people to use the bullet instead of the ballot – refrain from voting and take up arms. As many of these intellectuals were taken into preventive custody, Kannabiran represented them. Varavara Rao in The Advocate. Courtesy Magic Lantern Movies. MT Khan, of the Revolutionary Writers’ Association, said that Kannabiran fought their case for 18 years pro bono. He also gave free lodging to some penniless farmers, who were among the accused. For these efforts, he was branded as a “Naxalite liar”, Khan said. Through the Emergency from 1975-77, Kannabiran continued his fight against state excesses, becoming the go-to person for all activists and leaders in Andhra Pradesh who were arrested as the government suspended civil liberties and undertook mass preventive detentions. After the Emergency was lifted, Kannabiran renewed his effort against alleged staged killings of Naxalites. A Civil Rights Committee headed by VM Tarkunde was set up, with Kannabiran as a member. The committee published detailed reports of extra-judicial killings of Naxals as well as those who were suspected or alleged to be insurgents. 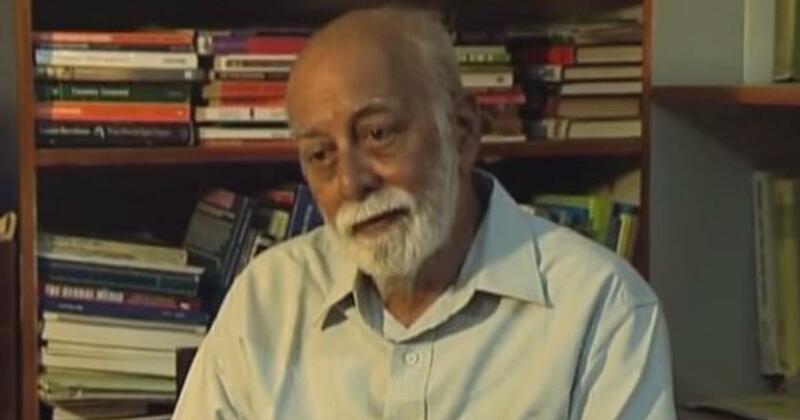 Upendra Baxi, a legal theorist and professor, explained in the documentary that the Tarkunde committee’s report was the first of its kind to document and detail such unconstitutional use of force, which set a precedent for similar enquiries in the coming years. In 1978, Kannabiran became the president of the Andhra Pradesh Civil Liberties Committee. Professor Kodandram, a human rights activist and former member of Andhra Pradesh Civil Liberties Committee, explained that when this body was set up, there was no concept of civil rights in the country. People saw no problem in the police beating someone up, for instance, if they had committed a crime. Kannabiran and his peers helped frame that discourse in the country, laying the grounds for the civil rights movement that stands today. Kannabiran’s dedication to human rights is what prevented him from taking up work in the Supreme Court. Human rights is a commitment, he explained, one that kept him rooted to his home state. Oddly, though, he said he entered the legal profession against his will, believing it to be “parasitic”. But by combining his empathy for fellow human beings with the legal acumen and access that his profession provided, he managed to effect real change. “It’s your dream to fight for liberty. But I never thought my boon would be granted for such plenty,” he said. 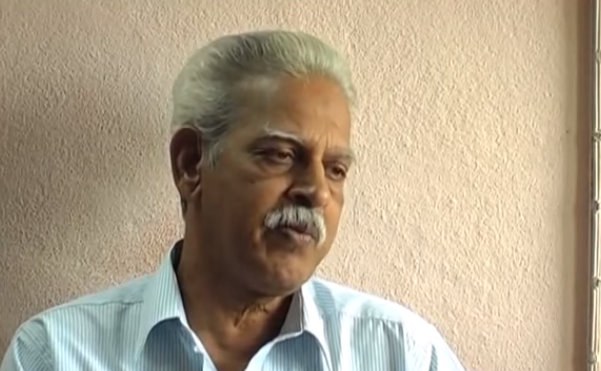 In 1995, Kannabiran became president of the People’s Union for Civil Liberties, a post he served in till 2009. This organisation was among the vocal critics of Tuesday’s arrests. 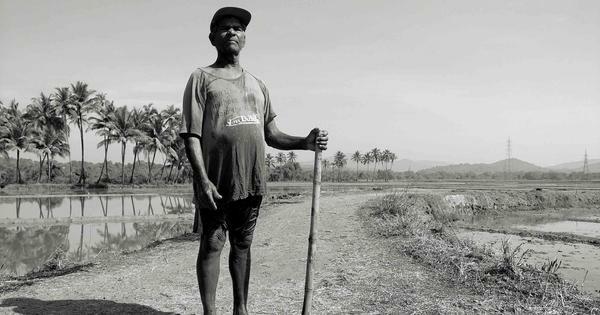 Kannabiran’s presence looms large over the movement for equal rights in the country today, and his story presents a beacon of hope in bleak times. Kannabiran articulated such a message of optimism in the documentary. “I will not rest until government killings stop,” he said. “And I have full confidence that someday or the other, whether I am alive or not, efforts of people like us will not fail”.